This fantastic hair care product is my go-to before blow drying and it especially helps to keep my colored hair looking great longer. 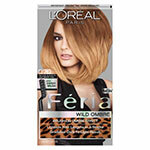 I used to have to dye my hair every eight weeks or so but with this product, along with a few others, I can now extend my color sessions to once every 12-14 weeks! 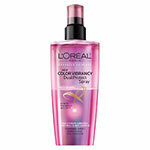 This product not only fights against color fade but it also helps make my hair shiny and soft without weighing it down. It also protects from heat damage up to 450 degrees…so what’s not to love about this multi-functional product! Matte lips have been popping up all over the red carpet and runway so, for only $3.00, why not try the look? 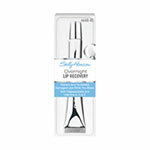 This lip color is easy to apply as it glides on smoothly and has a lot of pigment. 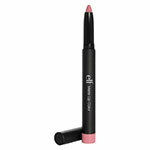 It also conditions and hydrates unlike many other long-lasting lip colors. 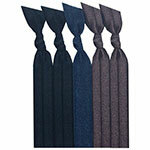 It is also a twist-up so there is never a need to sharpen it. Leather is so hot for fall so why not try it on your nails? Try a deep red on all your other nails and accent your ring fingers with this black leather-look polish. This little tube is an overnight miracle! I always have this on-hand after an especially long flight or in the cold winter months. It moisturizes and soothes and I also think my lips look fuller in the morning! I have this case in the purple/green color and it is so girly, fun and stylish! I also like the all black one for an edgy glam vibe. No matter which style you like best, these cute and cheap cell phone covers add some pretty bling to your phone and hold up as well as more expensive covers. This is my go-to whenever I have a zit pop up. I apply it in the morning as it blends with no shine or residue under my makeup and then reapply it at night. 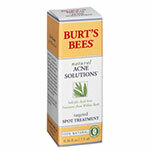 It quickly helps to get rid of the pimple and is also non-irritating. 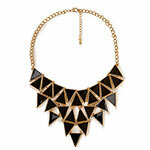 Add this statement necklace to jeans and a plain white tee then top with a blazer and heels…Hello Ms. Stylish! When I saw these beauties, I had to have them! They feature my favorite design (the quatrefoil which is the same as my engagement ring) and are beautifully handcrafted. They look way more expensive then the $18.00 that they are and really pair well with so many outfits because of their coloring. 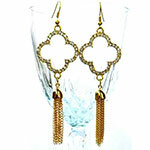 Check out www.shoponawire.com for more beautiful and affordable jewelry. 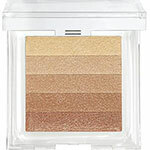 Highlight, contour, get a pretty glow, create dramatic eyes…this one little compact does it all! I am really into the ring/bracelet combo this season as a different statement piece from your normal go-to necklace. It gives an edgy, cool vibe to any outfit. I especially love this one from JustFab because with all the different metals in the piece, it pairs with everything. Be ready for lots of people to stop and ask you where you got it from when you wear it! Are they a little pricey for hair ties? Yes BUT they will save you countless hours of redoing your hair, which is a huge plus and that is why you need them in your life! I have fine, wavy hair and I used to put my straightened hair in a pony tail to workout and when I would take it down, I would have a huge dent in my hair. Basically it was choose to workout or keep my hair straight with no bumps…but not anymore! These hair ties make it easy to go from the gym to a down do because the material they are created out of creates zero hair creasing. It isn’t fall in our house until I have these near every sink! From Fresh Picked Scarlet Pumpkin to Vermont Sugar Maple, these scents smell so good! Try them in lotion form too! 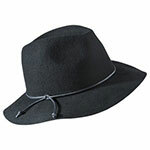 Floppy hats are very “in” this season and add such a trendy element to any outfit. This cute one is a steal! Also, they are perfect for when your roots are a little greasy but there is no time to wash your hair, just throw on this number and head out the door. 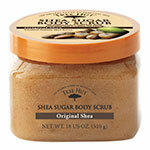 This wonderful body scrub, which can be found at places like grocery stores, Walmart and many other locations, is an excellent exfoliant. It is a MUST before applying sunless tanner and I also love the scent! 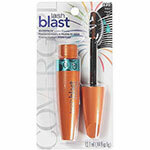 For dramatic, thick, dark lashes, this mascara achieves it all! 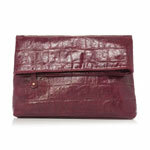 Hold it as a clutch or use the pretty strap, either way this fantastic purse is perfect for fall. I especially love this color paired with a leopard print! I just used this product the other day on my mom and it was fantastic! Not only was it easy to use but the color was really pretty, not brassy or orange or anything like that. I liked it so much on my mom, I went and got another box and ombré-d some of my clip-in hair extensions since my hair is much lighter now then when I got them originally. 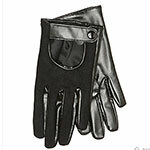 After watching the movie Now You See Me, I had to find a cute pair of little leather gloves that, not only paired well with jackets, but also jazzed up my blazers (just like how the actress in the movie wore them). I wanted a low, black glove and these from Aldo are perfect! They are a mix of leather and I believe wool on the top and have a cute snap on the front. They really look awesome with a variety of fall looks!